LNRS018 vahendusel jõuab kuulajateni Gee “Steppin’ With Badboy Basslines vol.4×4” mixtape, kus kõlab muusika sellistelt artistidelt nagu Pinch, Hatcha, Dark Sky, RSD, Skream, Zomby, Synkro ja teised. 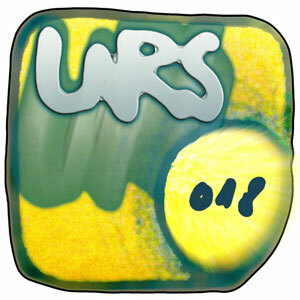 This entry was posted in radio and tagged 12th planet, argon, bar9, boka, brainmath, caspa, collision, cult of the 13th hour, d1, dan man, danman, dark circles, dark sky, deep medi, dub, dub injektion, dubblestandart, dubs alive, dubstar, dubstep, dz, echo wanderer, emalkay, evergreen, f-one, fabric, gee, hatcha, hindzy d, hod, iberian, ilawy, indigo, jazzsteppa, juakali, king, kraken, kutz, landlord, lee scratch perry, lejal genes, lejal'nyte, liondub, marcus visionary, mata-syn, mg77, mindset, ninja tune, noble society, noiseshaper, obeah, pictures music, pinch, quango, r8, raadio viru, ranking, relocate, rogue dubs, rogue state, rsd, ruf, scion, seven dub, shift, silkie, simien, skream, soul jazz, special branch, steppers dub, synkro, tectonic, tempa, tes la rok, the bug, uncle sam, zomby. Bookmark the permalink.